AMCA announcement at Aero India 2015? January 28, 2015: Hectic activity at the Aeronautical Development Agency (ADA) in Bengaluru suggests that there could be news to share on the indigenous Advanced Medium Combat Aircraft (AMCA) fifth generation multirole stealth fighter programme. With project definition and preliminary design achieving finality, ADA is ready for the next big step: tapping the government for funds to facilitate the crucial engineering phase that will lead to prototyping and technology demonstrations in next 8-10 years. As has been reported by SP's earlier, the AMCA is a well-defined programme that looks to deliver tangible results in terms of a credible, potent combat aircraft platform on the lines of the Lockheed-Martin F-35 Lightning-II. 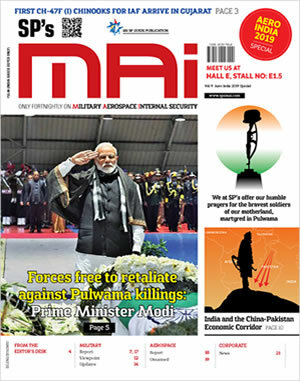 The Indian military-industrial complex is in the process of developing evolutionary technologies that will find place both on manned and unmanned platforms, but aimed currently at the AMCA. On the AMCA, Indian scientists are looking to push the envelope further than they've ever tried to before. Every little bit makes a difference when a legacy leap is at play, which is why, from engine performance parameters to control surfaces to control laws to cockpit ergonomics, everything is up for change. 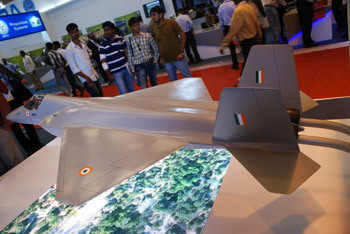 At Aero India this year, while there is nothing specifically new that is expected from the platform's design and capability configuration, there could be fresh details revealed on the business aspect of it, including project costs, the likelihood of a technology partner or consultant from an early stage, and crucially, timelines.